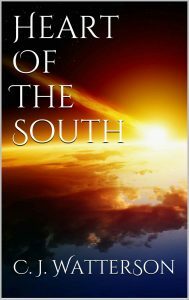 Heart of the South – Free today on Kindle! If you do get yourself a free copy today, please do consider leaving a review or dropping me some feedback on Goodreads, Facebook or the site feedback form. Sort of nearly there to Gahon’s dome! Magen Book 2: Heart of the South is included in the Smashwords promo. Just use the code “RW100” at the checkout to get 100% off (i.e. free!). Read an Ebook Week is an international celebration of ebooks in which thousands of authors, publishers and retailers feature free and discounted ebooks to help promote the joys of e-reading to the world’s readers. Each year, Smashwords authors are the most active participants, and our store features the largest selection of participating titles. It’s a fun promotion, because the more the participating authors promote their involvement, the more readers then go on to discover new Smashwords authors. Have you seen the new Stars Wars, The Force Awakens, maybe you’ve read all the books too. Well now, how about something different? The full series of Magen is available free from 25th to 26th. That’s right Heart of the South will be free on Christmas day. Enjoy the celebration, but maybe stop and think for a moment, what is really worth celebrating. (it’s not my book being free btw). Heart of the South – Back on iBooks, Nook etc. A heads up folks. Heart of the South is now out of KDP Select for the time being. That means it’s available again on iBooks, Nook and in any format you like on Smashwords. Yesterday, Of North Blood Drawn was featured on BookHippo.uk. Downloads rocketed and by the close of day I had nearly 60 downloads. ONBD made it to no.2 in Space Opera. This morning, I find a one star review, coincidence? I think not. To get the no.2 spot, something else had to come out. The account posting the review is obviously fake – sabotage. However, clearly this means ONBD is getting somewhere, hooray! I think I is some measure of success, achieving a one star review. Hello readers, I’m pleased to inform you that ONBD in now available free on Kindle on Amazon.com. Currently in the top 100 of the Space Opera genre – download here.